Follow these steps to start a group chat. Start and edit Signal groups. 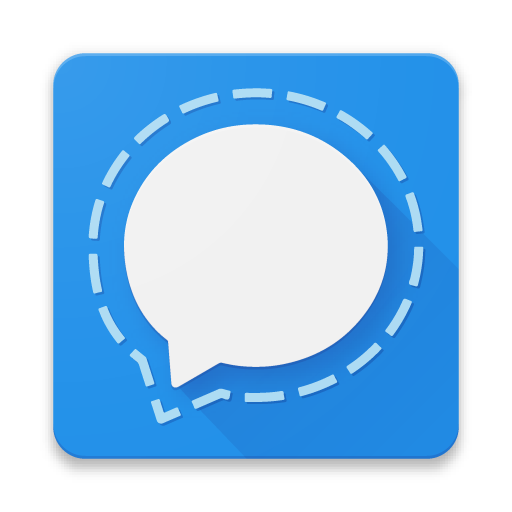 Send broadcast messages through insecure MMS groups. This group only includes Signal users. Everyone in the group can communicate with each other. All communication transmits over the internet. All communication is free of charge. There is no size limit for groups. You can name the group and set a group avatar. Members can choose to leave the group at anytime. Tap Add members to select contacts or enter numbers. Tap to finish selecting contacts. Optional: Tap on 'Group name' to change the name of the group. Optional: Tap the group avatar icon to set an image that all group members will see. Tap to immediately create a group with all the members. Any member can start messaging in the group. Send a message in the group. This group consists of at least one non-Signal user. MMS group messages are sent through your cellular provider and require a compatible mobile plan. All communication is subject to fees as outlined by your mobile plan. There is a size limit of 10 members. 'New MMS group' is displayed if you have chosen non-Signal contacts. Tap to create a new MMS group. Send the message. After you send this message, the group is created and will appear in your conversation list on the Signal main page. Members of the group do not see each other. MMS broadcast messages are sent through your cellular provider and require a compatible mobile plan. Send the message. After you send this message, the messages are sent and will appear in your conversation list on the Signal main page. Each message will be a separate MMS message to your contacts. Tap on the group icon . To set a photo for the group, tap on the group avatar icon. Tap on the contact names that you would like to add to the group. The word "Member" will appear next to any contacts that have been selected. Tap 'Create' to immediately create a group with all the members. Any member can start messaging in the group.